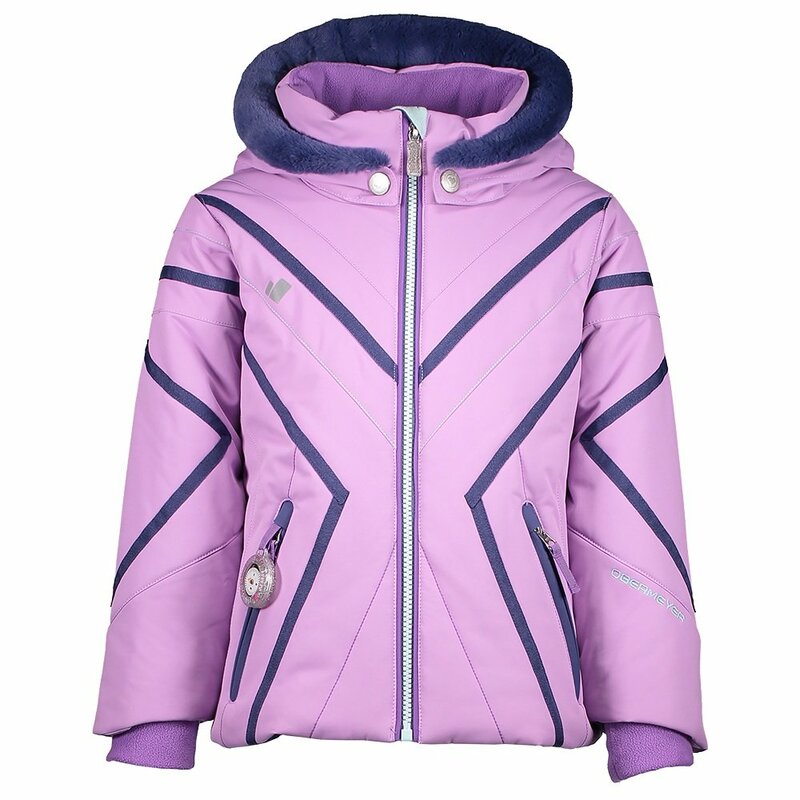 The Obermeyer Allemande Insulated Ski Jacket is engineered to keep her looking and feeling great. The 10K/10K waterproof-breathable fabric features a stylish, slimming design with loads of color. High-loft insulation and a fleece back warmer add warmth around the core, while the removable hood with built-in ear warmers adds it around the cheeks and ears. Stretch inner cuffs and an adjustable powder skirt seal off the edges for better weather protection. Obermeyer's I-Grow™ system guarantees long-lasting performance, even for the fastest-growing child.